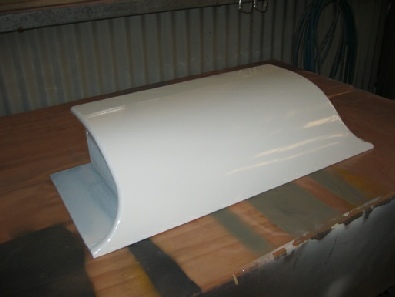 Have you ever looked at something made from GRP (glass reinforced plastic or fibreglass) and wondered how it was made? I have made a few things from GRP including a front spoiler and bonnet/hood for my rally BMW Alpina and undertrays for Morgans. The BMW parts were based on manufactured originals but the undertray was designed from scratch so I thought I would just share with you how it was made. The design was inspired by an aluminium undertray I made for my 1969 historic racing Plus 8. With the design in my head I then set about making the "buck" or 3D model of the undertray by first making a ribbed frame to support the skin. 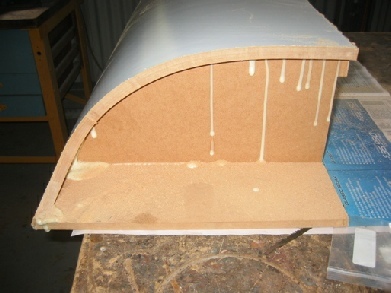 A skin of 3mm coated MDF was then cut to the correct shape and glued to the frame. 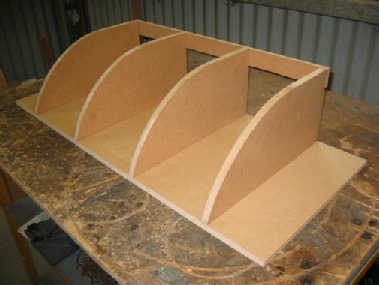 Several layers of MDF were glued along the edges to allow creation of the curved edges which give the undertray its elegance and strength. 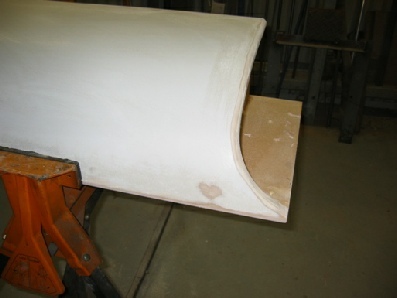 The edges were then cut and sanded to correct size. 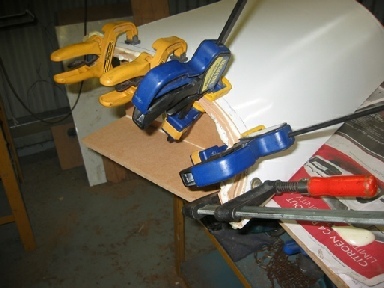 Using a router the side edges were rounded off. 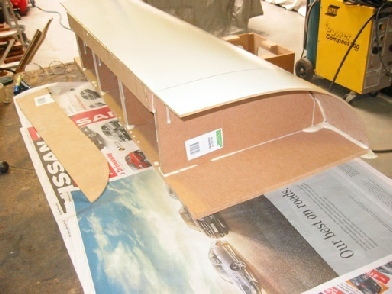 The model was then primed and sanded to remove all imperfections. Finally, the model received several coats of two-pack paint and was then buffed to a super smooth finish. Now the mold was made. 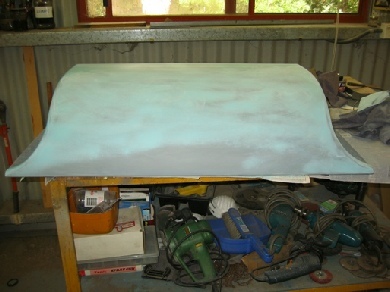 It needed to be rigid so ten layers of fibreglass were used. 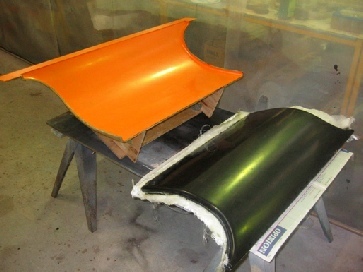 Orange gelcoat was chosen to provide contrast with the black gelcoat used in the final production undertrays. The finished mold. Once cured it was polished many times with wax and then coated with PVA release agent prior to making the undertrays. 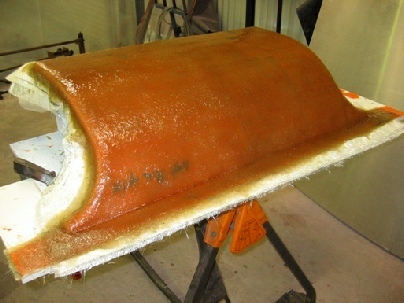 An undertray is removed from the mold and is ready to be trimmed. 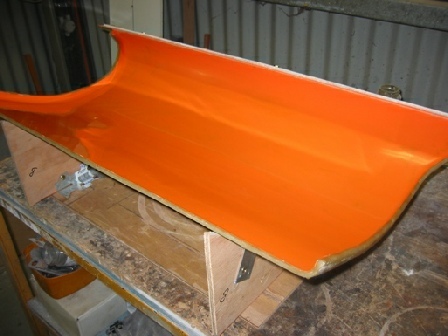 Each undertray consists of three layers of fibreglass and is extremely strong and rigid. 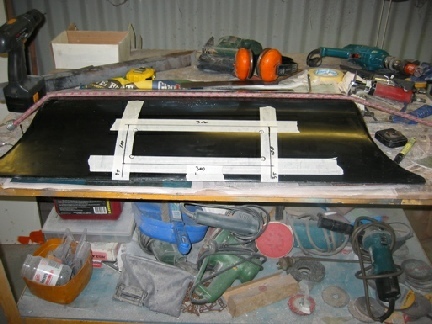 When ordered with a mesh insert, the undertrays are marked and cut out with a special air saw. 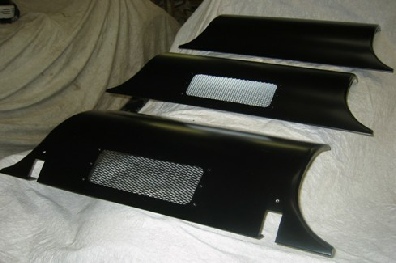 Finished undertrays. 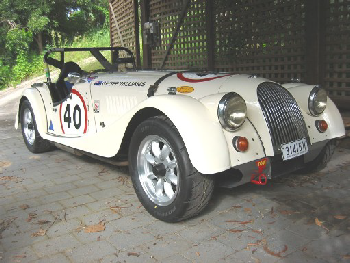 In front is one with black mesh prepared for fitting to a current model Morgan with overriders. Behind that is one with a silver mesh not yet prepared for a particular model and at the back is a plain black undertray.